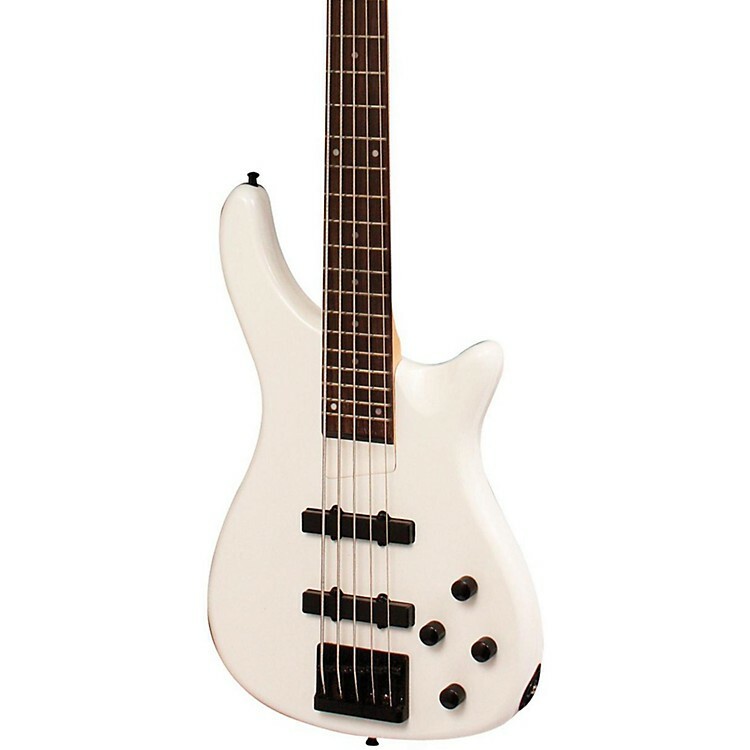 A price that makes it easy to become a bass player. You won't believe the great sound and consummate playability of this sonic destroyer. The LX205B 5-string bass guitar incorporates an extended maple neck with a fast and friendly rosewood fingerboard for fleet action. The J-style pickups deliver massive slabs of classic tone and are tweaked via 2 volume and 2 tone controls. Die-cast machine heads and black hardware wrap up this astonishingly priced thumper. Order today and start learning those bass lines in style!